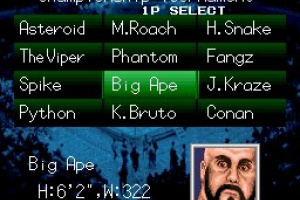 Choose from 12 outrageous wrestlers and bring it on! Wield the massive power of Asteroid, the lightning-fast strikes of Viper, the underhanded attacks of Phantom, and many more mad men of the ring! 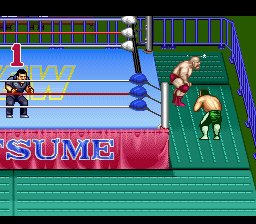 With its robust grappling system and over 50 moves to master, Natsume Championship Wrestling delivers the deepest and most realistic wrestling action of the 16-bit era! 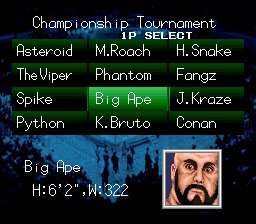 Test your might against the crafty AI, or up to 4 players can compete in exhibition, tag team, and round robin matches! What the? 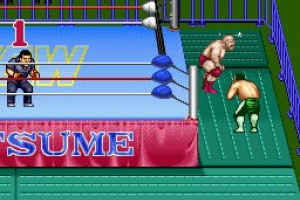 Natsume's releasing a Wrestling game on VC? How about Harvest Moon 64 first? Unreleased in Europe on SNES ?!? Judging by the prices in the upper right, I guess it was unreleased on this side of the great pond. Yes exactly, I do not knew this. @Banana_Jane Is it true ? 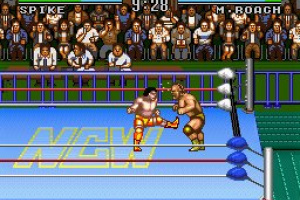 Maybe this will inspire Nintendo to finally release Pro Wrestling. Wow... Does anyone realize this is a first? 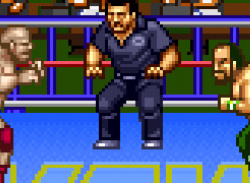 Never before has a wrestling game seen the light of day on VC! 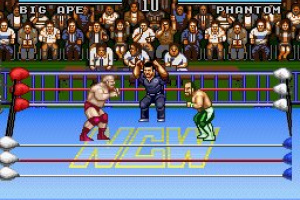 The only wrestling game they need to release on the Virtual Console is Saturday Night Slam Masters. 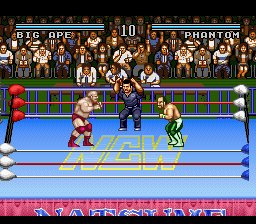 It's a 16 bit wrestling game by Natsume, so the chances are it will play like WWF Road To Wrestlemania, Wrestlemania X8 and WWE Survivor Series for the Game Boy Advance, all of which Natsume also developed. And all of which sucked. 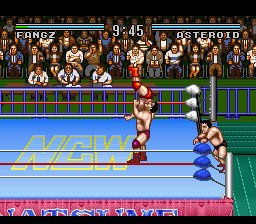 They have lousy collision detection at the best of times, VERY limited movesets, no real differences inbetween any of the wrestlers aside from their appearances and easy ways to exploit the AI and get cheap victories every time, even on the hardest difficulty setting. 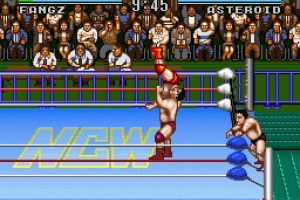 VC needs ProWrestling now. Delivers backbrain kick to thread...!!!! 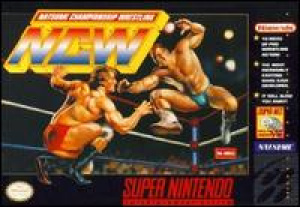 I played it again and it's really not as good as I remember it, but still a lot better than the WWF SNES ones.